Complete stage mic package for 3 vocalists or instruments. Includes 3 Audix i5 dynamic mics, 3 Gear One 20' mic cables, and 3 Musician's Gear MS-220 tripod mic stands with fixed boom. The cardioid pattern Audix i5 Instrument/Vocal Microphone is a dynamic mic with a smooth, uniform frequency response of 50Hz-16kHz with SPL handling of 140dB. It's versatile enough to handle a wide variety of applications and music genres. The i5 is truly a mic for all seasons and sounds great on vocals, snare, and guitar amps, with a clarity that will astound you. It features a durable cast zinc alloy body, dent-resistant grille, and black E-coat finish. Attractively laser etched with its model and serial number. 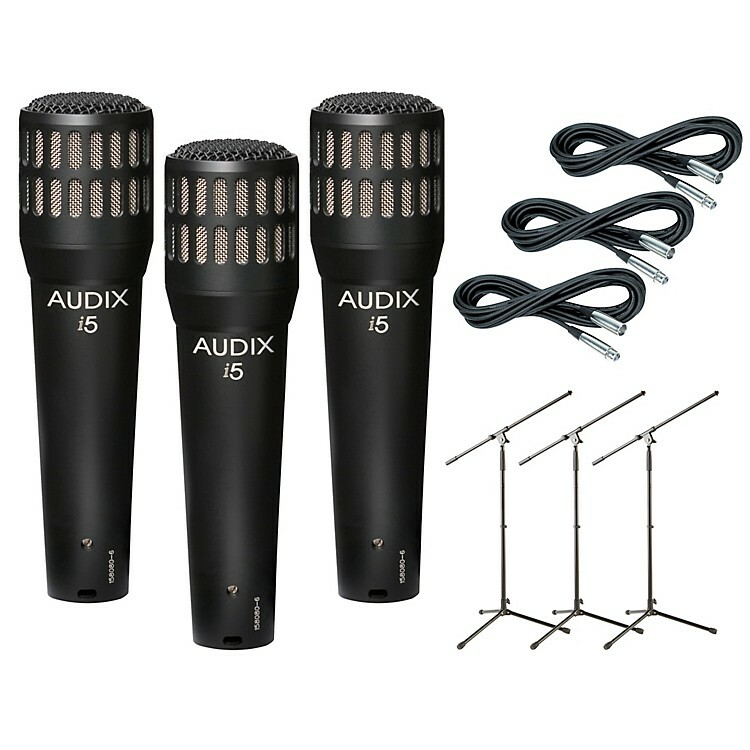 Audix includes a heavy-duty mic clip and carrying pouch with the i5 Instrument microphone..